Weir William J. Jr. “Bill” 93, Formerly of Greenfield and West Homestead. Passed peacefully surrounded by loved ones on Monday April 8, 2019. Survived by his beloved wife of 61 years Joan Weaver Weir. His loving children Pamela (Ed) Barger and Cheryl E. Weir. Proud pap-pap of Emily Barger. Brother of Marjorie Weir Lewis and Mary Sarah Weir Casey. Also survived by numerous nieces and nephews. 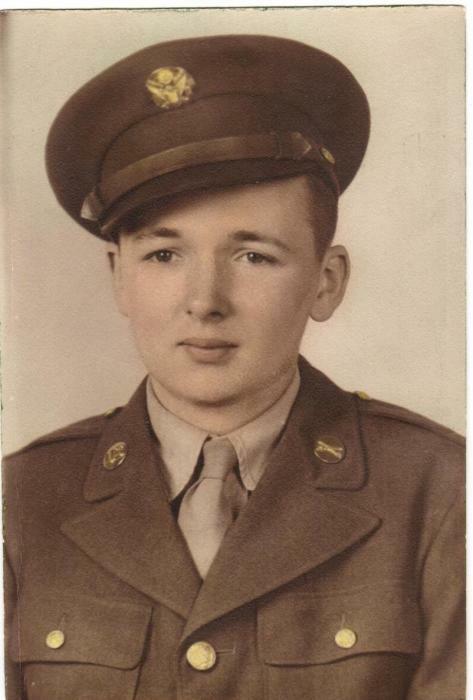 Bill proudly served his country as part of the greatest generation during WWII with the 75th Division. Friends will be received on Thursday from 4-8 PM in the Edward P. Kanai Funeral Home. 500 Greenfield Ave. 15207. Funeral on Friday at 9:30 AM with Funeral Mass in St. Rosalia Church at 10 AM. In lieu of flowers donations may be made to the Cystic Fibrosis Foundation.